udid.co – Register your UDID. Activate iOS 12. $7 registrations. On Time. Guaranteed. We are committed to properly registering your device with the Apple Developer Program. You will recveive a confirmation email on time, guaranteed. You must use	Safari on iOS to automatically find your device’s UDID. Open our configuration profile using Safari on iOS. Allow iOS to open the Settings app and show our configuration profile. Click on Serial Number to switch to UDID being display. When the UDID code is displayed, select the Edit menu, then Copy UDID. Paste the UDID in the form above and complete your PayPal purchase. Submit your UDID and complete your PayPal purchase. Ensure your device is registered with Apple. 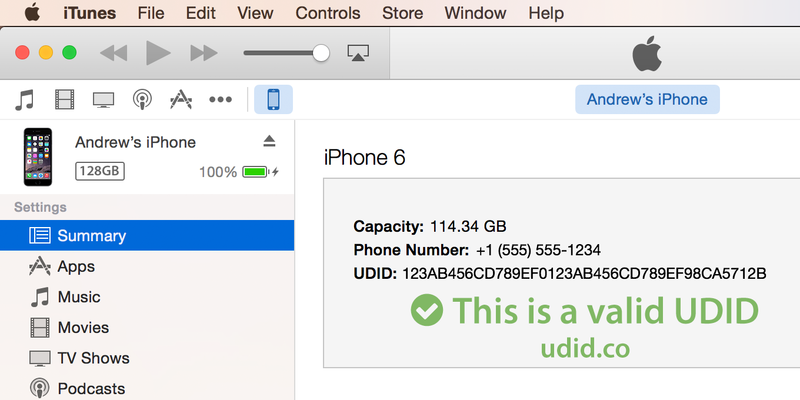 You will receive an email from udid.co confirming that your device is registered. Do not rely on iCloud backups. If you want to downgrade to iOS 11, you will need an iOS 11 backup saved on your computer. You will not be able to restore from an iOS 12 iCloud backup. Connect your iOS device to your computer and open iTunes 12. Select the “Back Up Now” button to save a backup of iOS 11 and your files. Open the link in your confirmation email using Safari or the default Mail app — only these two iOS apps can open this special link. Install the iOS Beta Software Profile signed by Apple Inc.
After installing the beta, your device will reboot and will require a network connection to complete the activation process. Mac: Hold the option key down and select the Update button. Windows: Hold the shift key down and select the Update button. If you selected the Restore button instead, after your device activates, restore from the manual back up iTunes created in step 1. Over-the-air software updates are the easiest, fastest, and most secure way to install iOS 12 betas. If you would like to use your Mac or PC to upgrade or restore your device with iTunes, download an iOS restore image.